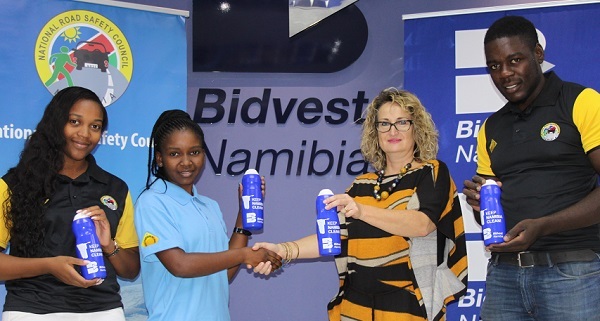 Bidvest Namibia is putting its considerable commercial weight behind the National Road Safety Council to ensure safe travelling for every Namibian over the Easter weekend. This week the company donated 4000 water bottles, each carrying a “Keep Namibia Clean” and a “Drive Safe” message, for distribution at the various police check points. 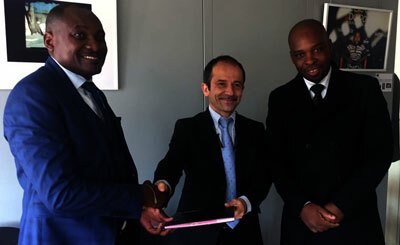 Present at the handover ceremony are, from the left, Revival Mundumdu and Pailin Kornelius of the National Road Safety Council, Andrea Calits of Bidvest, and Today Amoomo, also from the council.